According to a new patent filing, Apple could be set to include Optical Image Stabilisation into the new iPhone 6. Apple”s new patent application called “VCM OIS actuator module” was published to USPTO a few days ago and it details how Apple plans to go about adding the OIS and improved autofocus into its future iPhone models. 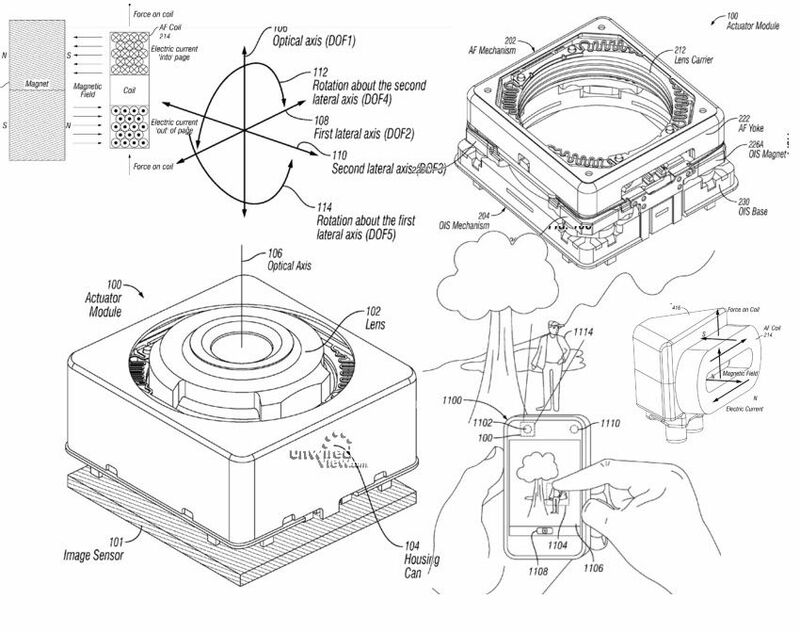 It seems that Apple will be using voice coil motor actuators to move the camera lens in various directions around the optical axis, which in turn will provide better autofocus and OIS. Actuator module may have integrated therein a mechanism to provide the AF function and a mechanism to provide the OIS function. The AF mechanism is configured to both move the lens along the optical axis and actively tilt the lens. The lens tilt may be used to compensate for parasitic best online casino lens movements due to, for example, tilting of the device within which actuator module is implemented. The OIS mechanism is designed in a way that when the device is tilted, the lens moves in directions orthogonal to the optical lens in order to correct for the motion of an hand shaking. By shifting the lens, the associated the image sensor can remain stationary which inturn simplifies the camera manufacture, size, and packing in the device. Many OIS systems instead tilt the entire camera, but it seems Apple has advanced their OIS/AF system to be as optimised and compact as possible. The patent shows that Apple has infact been working on the technology since early 2012, and consequently should therefore be pretty close to a viable commercial product that could be used in the iPhone 6. The iPhone 6 is said to feature a 4.7-inch screen, so it may not be a surprise if Apple have taken the opportunity of the increase in spacing of the iPhone 6 to upgrade the camera components and bring in Optical Image Stablisation. Apple has always come under fire for their downplaying of specs when it comes to the iPhone, with many competitors having better cameras in their devices; however many believe the iPhone still has the best camera on the market.